I hinted about this yesterday, but I have since checked in on the NDA and everything is cool to talk about. Currently up on test is a number of changes to designed to improve the game play experience for those who felt that it was simply too “tutorial” for too long. It would not be an Elder Scrolls game were it not for a prison sequence introduction. So you still spend your few moments in Cold Harbor but instead of being deposited on a “starter island” you are deposited in the city of Daggerfall, Davon’s Watch or Skywatch depending on your faction. Once again I use the term “starter island” but each faction has a slightly different setup. In this city you have the option of starting quests there, venturing out into the country side to kill random stuff or going back to the docks and returning to the starter island experience. The end result definitely feels more like a traditional Elder Scrolls experience, as when you exit the prison introduction you are usually dumped out to decide your own fate. I will also say however that fending for yourself in Daggerfall for example, is significantly more difficult than working your way through Stros M’Kai. I worked my way through a series of the city quests, but several of them were rather difficult considering at this point you really do not have much by way of gear having just finished Cold Harbor. I will likely always do the Starter Islands, because I really like the experience… but for those players who were expecting a much more “manifest destiny” experience the way is now open. I have to caveat all of this with “subject to change”, because this is still on the test servers and nothing that we are seeing is absolutely guaranteed to happen. However the complaint about the on rails beginning has been a constant thread throughout the various tests I have participated in. 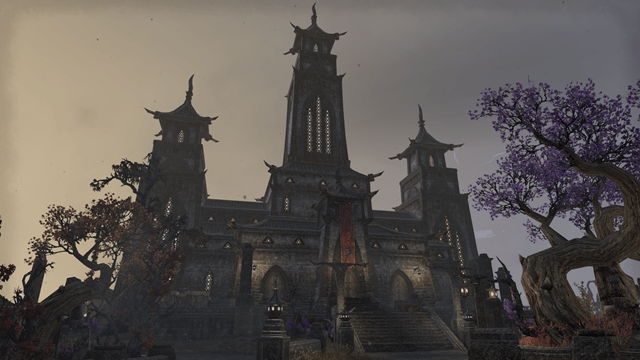 Zenimax is taking this criticism to heart and tweaking the game as a result. Really they have been extremely responsive to critique, and I’ve watched as a number of things have changed based on tester input. They do have a few holy grails that I wish they would abandon, but most of these are fixable with addons. I am not a huge fan of minimalistic user interfaces, so I know I will be modding the crap out of mine to display more information more clearly. I recently watched the latest of Beau Hindman’s series of Gamer Hangouts in which the show focused on Elder Scrolls Online. Actually he had asked if I wanted to join in, but since I do not have a webcam I opted out… something that should be resolved this week. One of the big concerns late in the show was what exactly the player driven economy would look like. 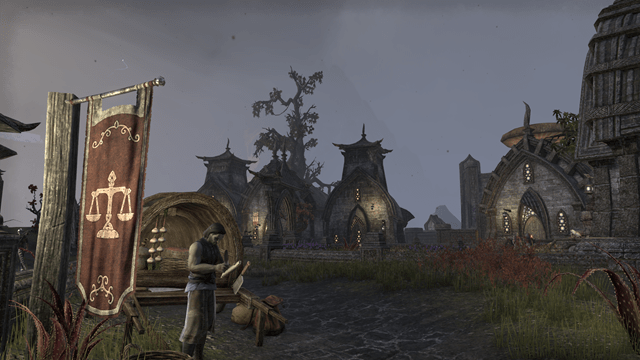 While I am not auction house wizard, and I generally only have enough gold to keep my armor repaired… I can already see that Elder Scrolls as a whole is going to have a very craft centric economy. Firstly this game has probably the most detailed crafting system I have seen anywhere. This is primarily due to the heavy research component in the game. While Maevrim talked a bit about enchanting in the video, the bulk of my experience is with Blacksmithing. As you move about the world you will get various dropped items, sometimes these items include a trait. For example you might get a dropped axe with the word “Precise” on it that means it increases melee and spell critical. Now you can deconstruct every item in the game for raw materials, and this is going to be key for getting some of the rarer crafting components, however there is a special kind of deconstruction you can do called research. This allows you to learn the trait from the item, and it takes a significant amount of time… namely the first trait you research for each weapon type takes a minimum of 5 hours, and increases from there. Since traits are unique to a weapon type, and there are currently eight for each type… it takes an extremely long amount of time to learn them all. What this means is that by nature crafters will be forced to specialize, working on learning the traits that matter the most to them… or if they are purely motivated by profit… learning the ones that players want the most. So I fully expect to see people advertising themselves as a master axe-smith, or a master sword-smith… instead of a general purpose smith. Granted the game does not distinguish between the two, and given enough time and resources the same person could learn every single trait in the game. Additionally each player starts off crafting only their own racial style, but through the acquisition of dropped books they can learn to craft items in any style available. So basically the ability to craft specific items with a specific stat is predictable… but requires a huge amount of work on the crafters part. What makes the system even more interesting is that the best gear can only be crafted in certain places. I talked about this awhile back, but this also factors into the economy. Essentially players will likely be paying that master sword smith to go with them to some forgotten crafting station so that they can have crafted the best item for their specific chosen build. Additionally since you can improve a crafted item from white to green, blue, purple or orange quality, I imagine there will be a brisk trade in the reagents needed for that. Trying to improve an item with limited resources gives you a very slim chance of success… and if you fail you end up destroying your shiny new bauble in the process. As a result players at the end of game will be wanting to make sure they pour enough of these reagents into every attempt to give them the highest chance of success. These reagents are likely going to be among the most frequently traded items, and folks who farm them will likely be a pillar of the player driven economy. One of the more interesting things of note about Elder Scrolls is that as far as I know there is no Auction House system. What they do have instead is an interesting system called the Guild Store. Once you have at least 10 members (someone correct me if I am wrong on the number) you can start to list things to sell to your guild members. Since guilds are account based, and you can be in multiple (current limit is 5 guilds) I have a feeling that we will be seeing a whole new kind of player driven economy. I fully expect we will see a rise of large Trade Cartel guilds that allow players access to a larger marketplace to sell their wares. This is a different line of thinking on how an economy should work, since these trade guilds would essentially be part tradechat and part auction house rolled into one. I also feel like similar to games without auction house systems, we will see players congregating in cities offering up their wares. This happened in Everquest and most recently I saw this happening a lot with crafters in Final Fantasy XIV. Since gear is so granular and specific to however a player chooses to build their character, I really don’t see a huge market for “premade” items. I think the real money will be made doing custom order crafting, and these trade cartels will be the way to find crafters for those purposes. In every game I there have existed various groups that colluded to control segments of the economy… so it will be interesting to see exactly how this plays out in a game that supports entirely player driven markets. I don’t really have the knack for this sort of thing, but I do hope I have some friends that do, because it will be interesting to see played out. Today’s factoid came to me in an interesting fashion last night. I had been playing Belganon my little Warlock, and was just about to shut down for the night when I saw a shout from a player name I recognized. He was trying to get people to run all nine challenge modes in one night for the purpose of getting gold in each. His message was a little oddly worded, and while I doubt he intended it… it sounded a bit like he was wanting to be carried through them. Granted my personal feelings towards the individual likely colored my interpretation. Thing is, once upon a time I raided with him in Vanilla, and while I thought he was a bit of a jerk… I always figured he was just mostly misunderstood. When he came back to our server during Wrath of the Lich King, he joined one of the uber guilds at the time… but since he was not well enough geared to raid with them, he pestered me for an invite to Duranub Raiding Company. During the middle of the raid, he was talking in a social channel about us… and said that he was slumming with us until he could get a real raid. I punted him from the raid and have not talked to him since. He desperately tried to back pedal in tells, but the damage was already done… he was worthless to me. Just seeing his name come across chat brought up this boiling cauldron of anger. I still hold a grudge against him for his actions, and while he may have matured or changed… I will never know, because I will never give him another chance. The weird thing is… had he just done something that was only against me… I would likely be waiting to forgive him over and over. When you do something however that negatively effects a person or group of people that I care about… my protective instincts kick in and I will forever hold a grudge over it. I realize this is not a healthy behavior, but it is just something I have never been able to let go of. So I have a catalog of people that have wronged my guild or my friends, and every time I see that name or someone mentions one of them this flood of anger washes over me that I have to force back down. So while I cannot seem to root this instinct out of me… I can do my best not to act upon it.